When an international partnership works: growing open data startups in Mexico – Open Data Aha! Mexico and the UK seem unlikely partners at first glance. We do not share a language, a legal system or a continent. But as Mexico negotiates its place in the Americas and the UK contemplates its future outside the European Union, both countries are looking for new partners and new ways of thinking about their challenges. London (the biggest city in Europe) and Mexico City (the biggest city in the Americas) share priorities such as managing transport, air pollution and population growth. Each have thriving technology sectors, enormous energy in their startup scene, and plenty to learn from each other. Another common thread between the countries is the strong open data programmes led by their national governments. For almost three years now, the Open Data Institute and the Government of Mexico have been working together to open Mexico’s national data infrastructure to encourage transparency, innovation and entrepreneurship. In search of new ways to demonstrate the value of open data, we partnered with DEMOS, an outstanding Mexican NGO supporting startups and civic tech, to create Labora. Labora helps to create social change by supporting Mexico’s open data programme and its tech entrepreneurs in three main ways. By bringing together and supporting startups using open data to help build their business, it supports the drive towards open data in Mexico City. The startups in the pilot programme of Labora are outstanding examples of open data businesses. They are teams solving a wide range of social problems in novel ways. Their work inspires other entrepreneurs, in Mexico and beyond to see open data as a tool for gaining new insights or building new tools. And as the team in the Office of the President of Mexico strengthens its open data policy, they are valuable examples of what is possible with local ideas and local teams. Labora provides a support system for startups. Labora offers training, networking and mentoring which has been hugely effective. (Every one of our startups moved up a stage during the programme: from idea to minimum viable product (MVP), from MVP to first customer, from early customers to growing market fit.) But other programmes offer similar guidance, in Mexico and around the world. More uniquely, Labora offers a support system that connects groups in new ways. Working with government, an international institute and an outstanding local organisation, our startups have benefited from a range of expertise and approaches. We are proud that our programme created a new connection between government, civil society and entrepreneurs. The Government of Mexico organised seven roundtables where Labora startups met with the civil servants responsible for the data they need for their apps. Sitting across a table is very different from sending emails; it enabled startups to establish a direct and productive relationships with public offices. Throughout the programme, Labora startups chatted on Skype with data experts based in the UK. 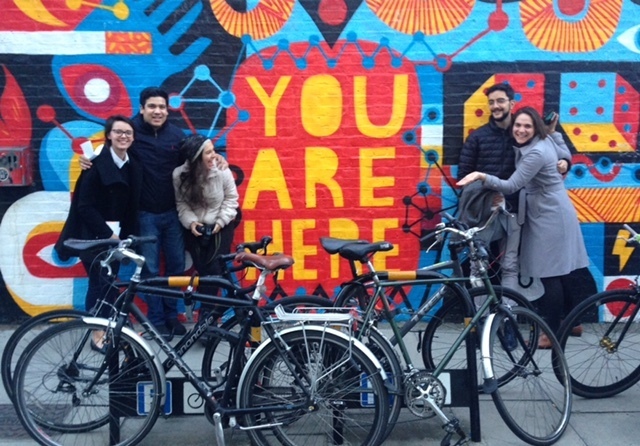 When they visited the UK in November 2016, startups from Mexico met with British teams who are also using open data to build their businesses. 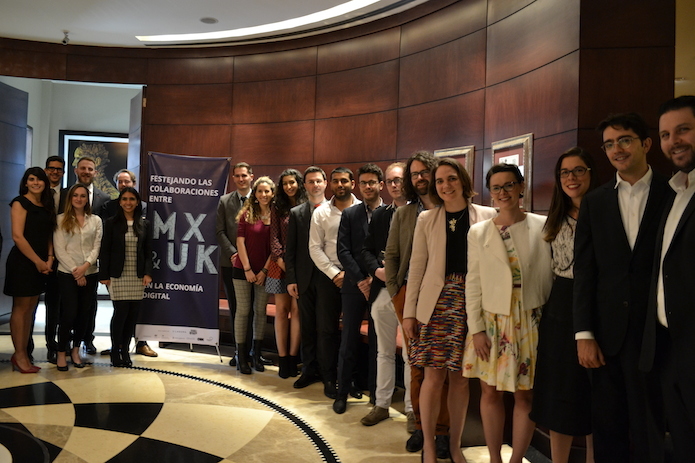 In return, we have brought five great British data-driven startups with us this week to help foster these relationships and build new connections between Mexico and the UK. The third benefit is easier to prove with photos than words, and it means the most to me. As my colleague Jessica Weereratne and I attend meetings and events with the startups we brought over from the UK, we are enjoying sharing with them the friendship we have built between two countries, three great teams and the startups we’ve supported. We look forward to the start of many more connections during our trade visit to Mexico City this week, and hope the Labora programme helps to show the importance to the UK of growing our relationship with Mexico. We are hugely grateful to the UK Embassy in Mexico for support that has made this programme possible and demonstrated the importance of partnerships in supporting change: for an international relationship, a government policy programme, and a talented group of startups. This week, the Open Data Institute is leading a trade delegation to Mexico City design along with five British data-driven startups: Bloom, ET Index, Globechain, Open Chain, and Red Ninja. This delegation was made possible by the energy, ideas, contacts and efforts of DEMOS (powered by PIDES and Dev.F), the National Digital Office of Mexico and the British Embassy in Mexico in organising our visit. Emma Truswell is Deputy Head of Advisory at the ODI. Follow @EmmaTruswell on Twitter.